This wasn’t the best picture I could have chosen to represent today’s topic. But i choose it because I found the URL amusing. If you go there now, it’s all about a far more inferior SF movie. Did you know that Josh Whedon wrote the screenplay for Titan AE and the director was legendary animation director Don Bluth? Titan AE was directed y animation master Don Bluth and Gary Goldman. 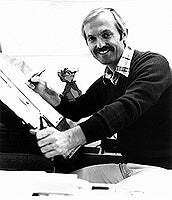 Don Bluth is best known for masterpieces like The Secret Of NIMH, An American Tale, and the laser disc Dragon Lair game we all started at in wonderment at the arcade when we were kids. I mean, I know i wasn’t the only one. Video upload courtesy of Master Jago. Titan AE came out in 2000 and it was the last movie he directed. The screenplay credit is shared between Ben Edlund, John August and Joss Whedon. John August wrote on a blog post on March 5th 2013 that his involvement in the script wasn’t as much as the other two. I had come in to do a quick dialogue polish, which became a bigger rewrite as it went through several directors’ hands. After I left, Joss Whedon took the writer reins — but I couldn’t honestly tell you what he wrote versus what I wrote versus what Ben Edlund wrote. It was a big lump of clay that everyone took turns pushing around. I was happy and surprised the final product was as good as it was. While it was box office failure, it’s gained a small cult following over the years. 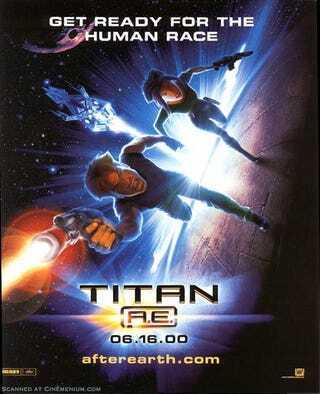 So while I’m always happy when someone says they like Titan A.E., I feel more honest saying “Me too!” rather than “Thanks.” It’s a movie with my name on it, but it’s nowhere near “my movie” the way Go or Big Fish or The Nines are. Whedon commented on the movie during a Age Of Ultron press junket interview he did last April for DenOfGeek.com. Joss Whedon interview: Avengers, Marvel, Titan A.E. We mentioned a project from your past, Titan A.E. in an article recently, and it got lots of nice comments about how underrated it was. Is that how you feel about it, too? That it was ahead of its time maybe? Nahhh, I think in some ways it was a bit behind its time. I enjoyed it, but there are some things that just could have been better. I felt like I got very invested in it, as I do whenever I do a script doctor job. It felt like some of the stuff played beautifully, but some of it was a little… Old school. On the other hand, Mr Whedon did a Reddit AMA in 2012 where he had a different take on the movie. But that could just be Josh being Josh. That said, I like this movie. While i was researching this article it made me want to go back and watch it and look for the Whedon touches I didn’t catch the first time around. Meredith Woemer did an article back in 2013 about the movie and she suggested that the Whedon mark is in the dialogue. Plus it’s funny. Whedon funny. The banter on this ship is one of the most endearing qualities of this film. The crew has an excellent rhythm of delivery. For every kiddie quip, there’s an even better big kid gag, “An intelligent guard... didn’t see that one coming.” And we love any sort of character who uses his leverage of being humanity’s last hope to try and score with the only other human on board. It has been 14 years since this movie came out and Don Bluth has not done anything since. He has a website where he sells animation tutorials and does a variety of workshops in the Scottsdale, AZ area. He does his workshops and other events at a adult and youth theater called Don Bluth Front Row Theater. I found an interview that Larry Lauria did with Mr. Bluth in September of 2000 for Animation World Magazine. This interview was actually later than planned. It was supposed to be the second of a two parter promoting the movie’s release. But things happened really fast between the first and second interview. Mr. Lauria explains it better than I can. A few months ago, I interviewed Fox Feature directors, Gary Goldman and Don Bluth for Animation World Magazine. The topic of the conversation was the upcoming release of Titan, A.E.. Part one, the interview with Gary Goldman was run in the June issue. Part two, the interview with Don Bluth, was never printed because the events which transpired at Fox Feature Animation made the interview irrelevant. Bill Mechanic, head of the Fox Studio, and the Fox organization parted ways; Fox Feature Animation was shut down; Don Bluth and Gary Goldman were gone; and Titan, A.E. (which debuted at number five at the box office in its first weekend of release) was sent into animation oblivion. The closure of Fox Animation has sent shockwaves throughout the industry. One major newspaper even wrote an article inferring that “2D animation was dead” ... or extremely sleepy. I don’t think we will ever see another Don Bluth directed animated movie. But we’ll always have the amazing movies and worlds he gave us. So let us end today with a trailer for his final journey. Understand this was the year 2000, when you could make a trailer using a Creed song. I like to think we’ve come a long way since then. I hope you all have a wonderful day and I will see you tomorrow for another Fact Of The Day.